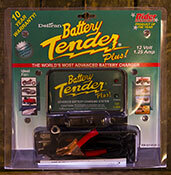 The Battery Tender Plus is a complete 4-step constant charging program! 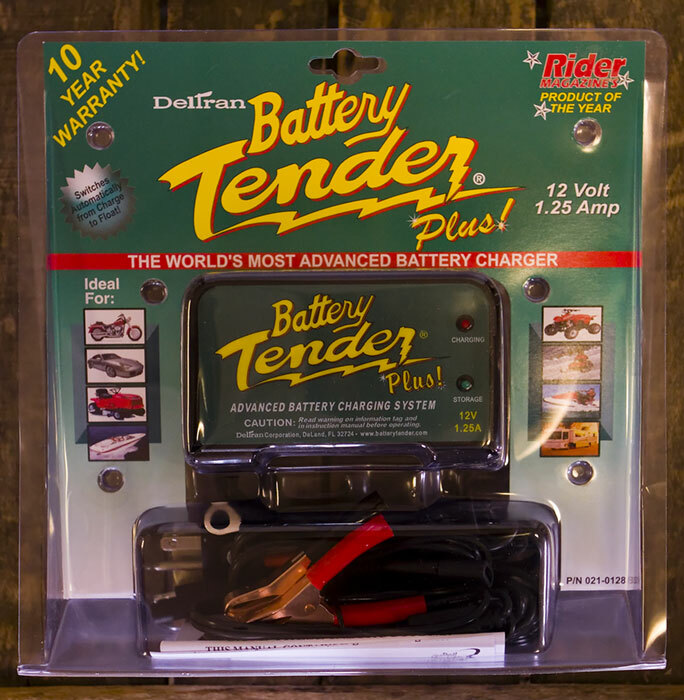 It will correctly charge and maintain any type of lead-acid battery - AGM, sealed calcium, or gel batteries, without the damaging effects caused by trickle chargers. "BTP" micro-chip technology applies correct peak charge, then automatically maintains the battery at the perfect float voltage. Size: 4.88" x 3.25" x 2.88"
Shipping and insurance is $6.00 to lower 48 states by UPS only.